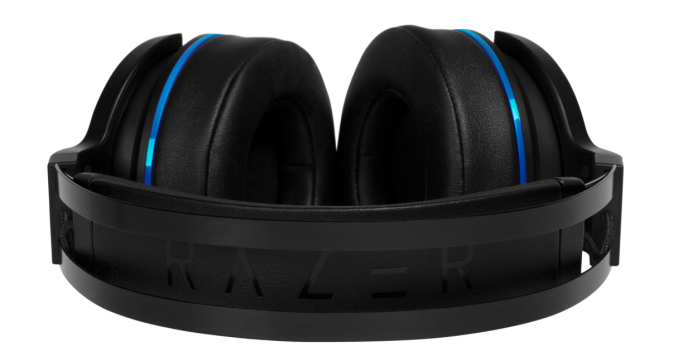 This morning at E3, Razer is announcing a new product in their lineup, targeting the console market, with the Thresher Ultimate wireless headset. This is a 7.1 Dolby surround gaming headset, offering several features to help it in the console market, but still working with PC gaming. They will be offering versions for both the PS4 and the Xbox gaming systems, with a color scheme to match those consoles trademark colors. The PS4 version will offer blue accents, and the Xbox version will be Xbox green, and both can also be hooked to a PC through standard audio cables. 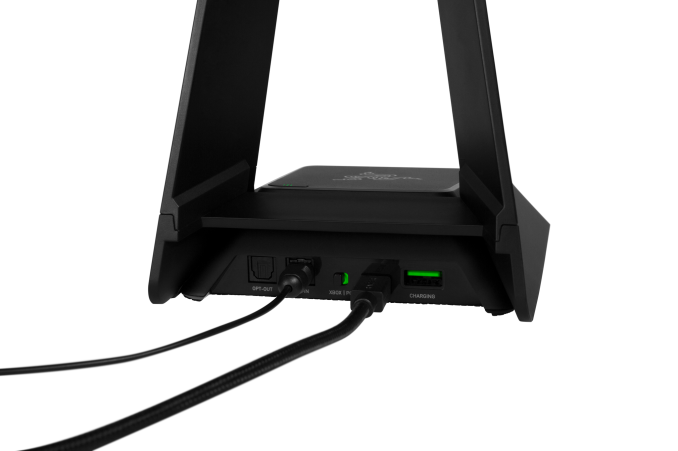 One of the main differences between the Thresher Ultimate and other Razer headsets focused on the PC is the charging stand, which also provides a more powerful 2.4 wireless signal to provide a connection range of up to 40 feet, which should help with the typical console gamer sitting further away. 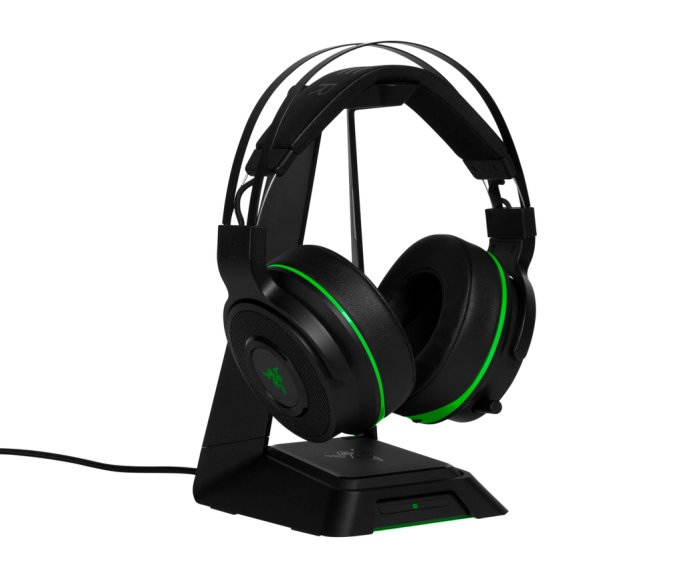 Razer’s PC based wireless headsets charge over a USB cable, and only offer a small wireless USB adapter and would not be able to get this kind of range. The headphones have 50 mm drivers, and are available with cooling-gel infused ear cushions to help with comfort on longer gaming sessions. Razer rates the drivers for 12 Hz to 28 kHz, and combined with the Dolby Headphone technology, these should deliver good sound quality for a wireless headset. The headset weighs in at 408 grams / 0.89 lbs, and the unidirectional boom mic is fully retractable into the ear cup when its not needed. 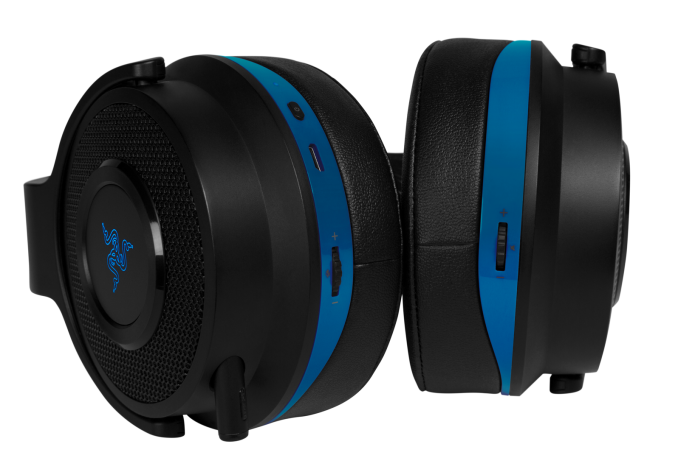 Razer estimates the battery life to be up to 16 hours, with a 4 hour charging time. 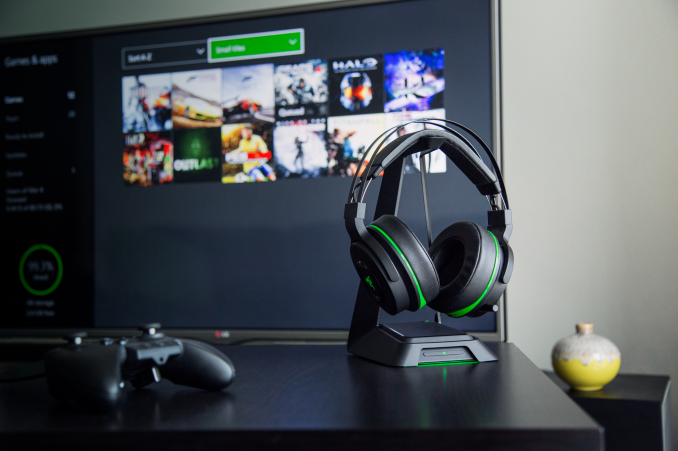 Although these are targeted to console gamers, the charging stand is something that any PC gamer would appreciate as well, since it makes the process of storing the headphones and keeping them charged much easier than Razer’s other headsets that use micro USB connectors for charging, although these do offer that connection for charging as well. The Thresher Ultimate is available for pre-order now for $249.99 USD, and will be available worldwide in July.